You save £9.00 that's 53% off! 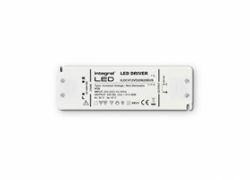 LED lighting traditionally requires a constant voltage or current to function correctly. Traditional transformers use an alternating current which is not suitable for most LED bulbs. The driver converts mains electricity at 220 - 240V AC into constant current) at a maximum output of 12Watts. Typical applications would be powering a led strip light that is 1-2 meters long. (typically 5-6 Watts per meter ) bulbs when connected in parallel.